More toffeed and nuttier than the standard 12 year old Cardhu. This still has some of the crisp orchard fruit and vanilla flavours of the 12 year old but also has some more developed characters of dried fruits, caramel and toasted oak. A smooth and elegant Speyside single malt that is extremely popular in Spain. Cardhu is crisp and li.. 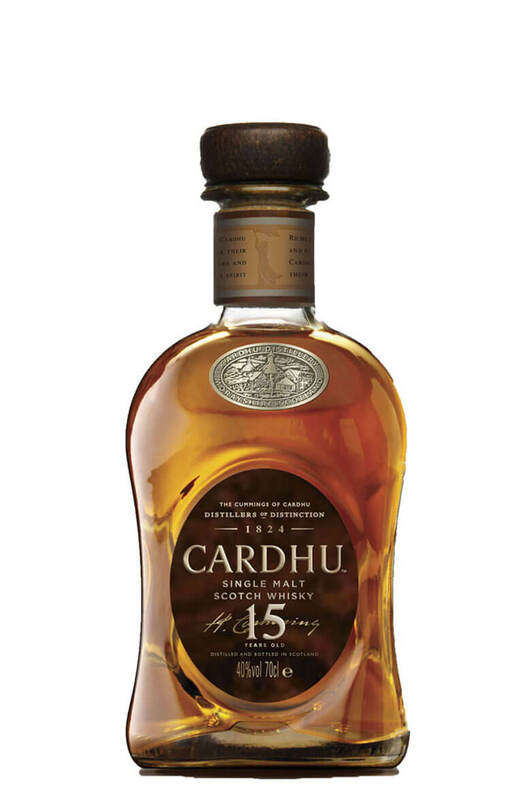 The 18 year old Cardhu is extremely well balanced and smooth expression with flavours of creme caram..